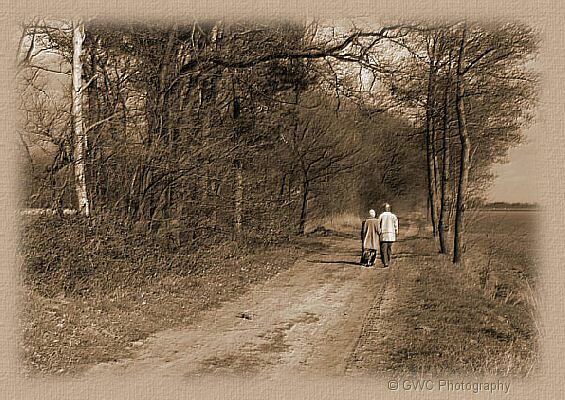 Image entitled "Together on the road". Used with permission. courtesy GWC Photography - "God's Wonderful Creation"
Through sunny, and stormy weather. As we began with our hopes and dreams. When we lost our son Jack. He was so young to have a heart attack. Nevermore this earth to roam. As we fell to our knees in despair. Wrapped us in His loving care. In ways we would have never guessed. God has never spared His mercy. And called on His name each and every day. That He has given to me and you. And being as God would have you be. unto your own husbands, as unto the Lord.